SURFS at Belmont University in Nashville, Tenn. June 29, 2017. Now in its 3rd year, Belmont’s Summer Undergraduate Research Fellowship (SURFs) Program is currently hosting 24 students across campus, in a variety of disciplines, who have devoted their summer to scientific research. 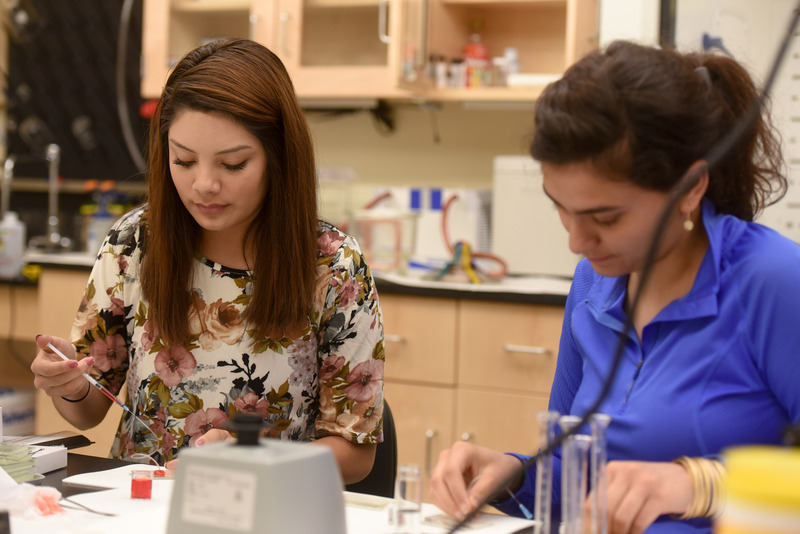 Started by Chair of the Chemistry and Physics Department Dr. Robert Magruder in 2015, the SURFs program engages students early in their collegiate career and provides participants with housing and a stipend while they work alongside faculty members to complete important research. This year, students are engaging in variety of projects whose ‘real world’ implications are immense. From cell isolation for illness treatment to comparing the sound differences between old and new guitars to ‘working from the inside out’ to treat cancer cells and understand how medication dosages effect performance, SURF participants are conducting research that could have a significant impact on the scientific community. For chemistry major and junior Claire Holden, the opportunity to participate in the SURFs program has been invaluable — especially given who she had the chance to work under. Interested in pursuing her MD-PhD in pharmacology in the future, Holden took the opportunity to work under Dr. Marilyn Odom, Professor & Chair of Pharmaceutical, Social and Administrative Science in the College of Pharmacy. Having worked with many students who have earned the prestigious degree, Holden was eager to learn from Odom.